These cakes were made for a loyal customer of mine this week. I didn't think we were going to be able to do the turkey cake but we decided to rush back (drove straight through from Nevada to Texas without stopping) to get it done. 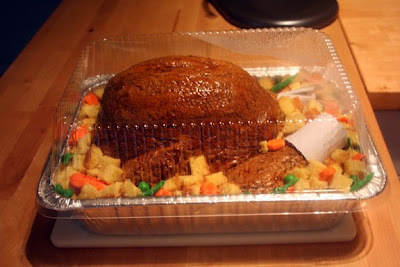 We'd done the same turkey cake for her last year and she asked for the same this year. It's a marble cake with vanilla buttercream. 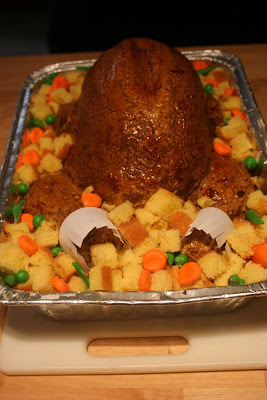 The stuffing is cake, the vegetables are fondant and the legs/wings are rice krispy treats. I painted the entire cake with a piping gel/cinnamon mixture. 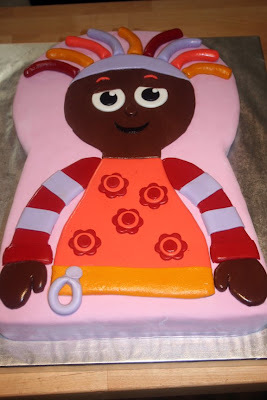 This cake is a duplicate of a cake that was made in a very popular bakery in the UK, The Cake Shop. It was made in celebration of a second birthday. It's a marble cake with strawberry filling, covered in fondant with fondant details. This cake came out beautifully!! I love the turkey cake. It looks so real.